Despite the upheaval and the effects that continue to dog Wall Street since the 2008 crash, JPMorgan Chase has managed to recover more elegantly than some of its counterparts. This has been in part due to a robust community development program targeted at local impact, strategic partnerships, a deeper introspection of its practices, as well as a public acknowledgement that it needs to do more to become part of the solution. Urbanization, the growing discourses around investing in natural gas and helping small businesses scale featured among the company’s goals for 2013. Launched New Skills at Work, a $250 million, five-year workforce development initiative aimed at helping close the skills gap around the world. Created the Global Cities Exchange, a program to help U.S. and international cities develop and implement regional strategies to boost their global trade and investment. The Exchange is part of the Global Cities Initiative, a joint project with the Brookings Institution launched in 2012 aimed at helping metropolitan leaders strengthen their regional economy. Provided $19 billion in new credit to American small businesses and, for the fourth fiscal year in a row, was named the #1 U.S. Small Business Administration lender by units. The report also alludes to the firm’s keen participation in the impact-investing and sustainable development sectors. 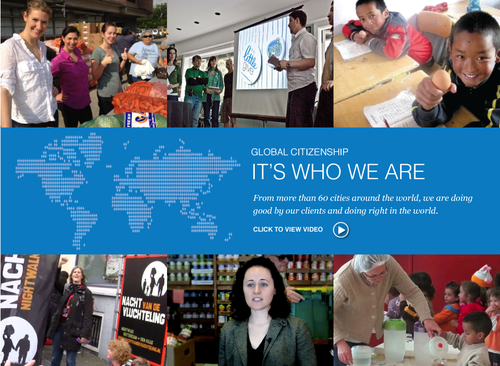 Donated $210 million to nonprofits in 39 countries and contributed 540,000 hours in employee volunteer hours. Provided nearly $7 million in grants to promote consumers’ financial capabilities across the U.S. Provided $2.7 billion in community development loans and investments to build or preserve 45,000 units of affordable housing, create 1,100 new jobs, enable 784,000 patient visits and serve 4,400 students in low- and moderate-income communities in the U.S.
As for the report itself, JPMorgan is experimenting with a new format. Expanding on its 2012 Report, which featured an interview between CEO Jamie Dimon and Nature Conservancy CEO Mark Tercek as the focal point to introduce the report and address its critics upfront, the 2013 disclosure goes a few steps further and uses interviews with key stakeholders to tell the entire story. Framed as a series of stakeholder engagements, the report unwraps over 45 pages – half of last year’s hefty 90 pages – neatly packaged with data, infographics and narrated through conversations between key partners, internal experts and external advisers. It’s a good quick flip through and indicates a move occurring across industries to complement material data with visual storytelling. “One thing to keep in mind is that where we did make mistakes, we’ve acknowledged them and made significant progress toward fixing them. We’re investing unprecedented resources to ensure that our compliance and control processes and culture meet the highest standards. And the changes we’re putting in place are designed to make certain our controls will be robust and effective, day in and day out, over the long term. Of course, this is all easier said than done – and all eyes are on the firm to ensure long-term sustainability. As Scher states in his letter, the company’s ability to pull resources and activate its deep relationships—not to mention its talent base—is noteworthy. It is in a unique position to create positive impact, influence investment dollars and foster a more sustainable economy. But herein lies the rub: can an American icon rebuild trust in the marketplace while doing business with traditional capitalists, a static economy and a model that rewards short-term profits and trading returns? Originally written for and published on CSRwire’s Commentary section Talkback on May 20, 2014. In the wake of the financial crisis, your industry continues to face high scrutiny and low trust. How is society better off because of what JPMorgan Chase does? That’s how The Nature Conservancy CEO Mark Tercek starts off his interview with JPMorgan Chase CEO Jamie Dimon – featured prominently at the beginning of the financial behemoth’s latest Corporate Responsibility Report. While the interview is meant to address the heightened focus on transparency improvements in risk management and operational sustainability, the key idea is to highlight one main issue: trust. In fact Tercek’s first question is telling of the intent and content of the interview that follows. To drill deeper and learn more about JPMorgan Chase’s sustainability activities in 2012 as well as how the institution prioritizes intangibles like customer trust, ethics and responsible leadership into its business strategy and operations, I turned to Peter Scher, EVP and Global Head of Corporate Responsibility. In 2012, JPMorgan Chase raised and provided $2 trillion in capital and credit for its clients worldwide. It also donated more than $190 million to nonprofits in 37 countries while its employees volunteered 468,000 hours in local communities. If we can help our clients grow around the world, they will in turn generate the jobs, small business growth and other economic activity that builds strong, vibrant communities and generates more sustainable economic growth and prosperity for all. But how does that contextualize into day-to-day operations at the bank? A couple of ways. Our clients and our business are key components of our communities, not just pieces of a balance sheet. For example, some of our clients are municipal governments, hospitals, and healthcare institutions. We help them provide vital services to people,” he said. 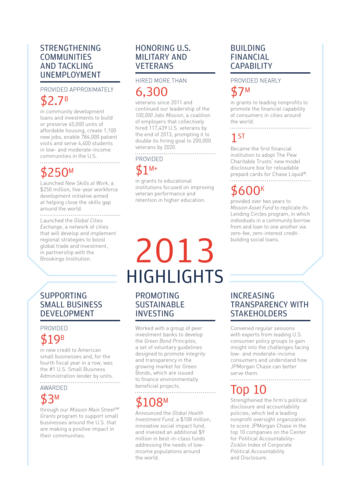 “In 2012, we provided $85 billion to nearly 1,500 nonprofit and government entities in the U.S. and around the world. Despite the crisis in Europe, we didn’t pull out of our investment commitments. We continued to provide billions of dollars in credit and financing to European clients – corporate and sovereign. That was a testament to our values as a company and underlined how we approach business. We are part of these communities for the long run. At the height of the financial crisis in the U.S. three years ago when lending was lean, JPMorgan Chase announced increased lending to small businesses to boost the economy. It made good on that commitment and today is one of the largest lenders to small businesses in the country. “We also hired 1,000 small business bankers to help us find small businesses to invest in. This commitment has increased every year since then – from $7 billion in 2009 to $11 billion in 2010 and $17 billion in 2012,” explained Scher. Despite the increased lending and a resolute desire to beat a deepening crisis by focusing on core competencies and a community-based approach, 2012 was a tough year for the financial leader. We had significant trading losses which cost us money and embarrassment – more the latter since we made record profits in 2012. It also showed that we weren’t immune to making the mistakes other companies made. What we were proud of was that we didn’t try to hide any of it or explain it away,” he said. Established a new firm-wide Oversight and Control Group separately staffed and reporting directly to the Chief Operating Officer with the authority to make decisions top down, in command and control fashion. Appointed a business control officer in every line of business to report jointly to the line of business CEO and the firm-wide Oversight and Control Group. Staffed every major enterprise-wide control initiative with program managers and oversight group managers, including COOs. Made it mandatory for the Operating committee to meet regularly with regulators to share information and hear any criticisms. I have worked in a lot of different public and private institutions during the course of my own career and have not found one that doesn’t make mistakes. The real test is how we address them. And at JPMorgan Chase, starting with the senior leadership, there was never any effort to hide or explain away our mistakes. In fact, there was a commitment that we were going to use them as an opportunity to become a stronger company,” Scher added. Corporate responsibility can be challenging at any company. Particularly for one that belongs to a sector that remains as tarnished for its dealings of the past decade today as it were in 2008. What is JPMorgan Chase doing to shift the mindset and modus operandi of its industry? Well, we’re starting at home, with our 260,000 employees in more than 60 countries – and we’re letting our employees know how the firm contributes to their communities,” he said. Are JPMorgan Chase employees driving the demand for non-financial disclosure? Yes, there’s demand from many of our stakeholders, including our employees, to know how we match up in our actions versus our commitments. We’re also starting to see demand from our clients. 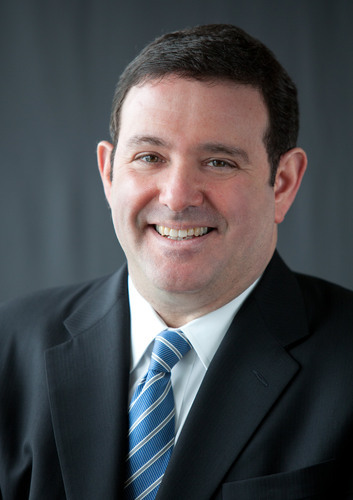 The financial crisis really focused people’s attention on what companies are doing and could do to help contribute in a positive way to the community,” Scher emphasized. “The fact is, if our communities are growing, that’s good for us as a business. More growth means more banking services – and we want to be a part of their future. Besides, clients want to know that companies they work with are responsible and thinking of their impact on society. With a substantial community investment commitment as well as programs to rehire military veterans, bolster investment ties among cities in the US and worldwide through its Global Cities Initiative, and impact investing goals – principal investments focused on emerging markets added up to $50 million in 2012, clean energy investments –over $6 billion in clean energy investments in 2012 deployed, the bank is leveraging its global footprint effectively to grow the global economy. It’s also trying to help address some of the world’s most pressing challenges. “In the U.S., for example, a lot of these investments have focused on natural gas. We’re identifying best practices and creating a risk assessment framework to help us influence our clients’ policies and procedures and help them conduct their energy operations in a sustainable manner,” he explained. And how is the bank’s Social Finance arm faring? It launched in 2007 to serve the new and growing market for impact investments – new business models that deliver market-based solutions for social impact. According to Scher, JPMorgan grew its Social Finance principal investments to nearly $50 million in commitments for funds focused on helping improve the livelihoods and quality of life of people living in poverty around the world, with a particular focus in emerging markets. “In addition to making principal investments, we’re also working to help shape and grow the field of impact investing, by providing client advisory services and data-driven thought leadership,” he added. At the end of the day, with a Report that runs into 90 pages replete with data, interviews and the makings of a comprehensive CSR strategy, JPMorgan Chase seems to be pulling all the strings it has available to make a positive impact on its constituents – with some appreciable humility thrown in for good measure. Originally written for and published on CSRwire’s Commentary section Talkback on August 1, 2013. The finance sector continues to ride on the coattails of what started as a severe decline in trust, market performance and profits in 2008. And Royal Bank of Scotland [RBS] was no exception, facing its own share of customer distrust and instability as well as a government bailout. What really piqued my interest was the press release issued by the bank, which right from the headline – Royal Bank of Scotland Extends Meetings with Biggest Critics – told me change was afoot. I caught up with Duncan Young, Deputy Head of Sustainability who is also in charge of producing the bank’s annual CSR Report. We began with an obvious question – I couldn’t hesitate – about a specific statement in CEO Stephen Hester’s quote that highlighted the Report’s very first page: What will it take to “build a really good bank”? Fair enough. But what does an overarching statement of “becoming good” involve for an organization that serves a cross sector of business and consumer populations? “We have significantly enhanced the remit of our Group Sustainability Committee this year. They will now cover wider reputational issues, impact on customers as well as U.K. industry practices, where too often, in the past customers were taken for granted. Today, we want to put customers at the heart of what we do to make sure we don’t make those mistakes again,” he said. “After the crisis, we were bailed out by the taxpayer. Our fundamental goal since has been to make the bank safe and secure. We’re getting there. Our loan to deposit ratio – traditionally held as a good measure of a bank – was at 140 percent at one point. Now we’re down to 100 percent, which is deemed to be a measurable sign of a stable bank,” he said. “We’ve also repaid key aspects of government support. But it’s important that we focus on maintaining a culture now that ensures past mistakes do not recur. We have a much stronger focus on conduct risk and our engagement efforts are making sure the bank’s leadership are much better placed to pick up on issues of market behavior, reputation risk and have an understanding of what customers’ expectations are from us. That’s another reason why we have significantly increased our disclosures,” Young emphasized. So how does the company plan to address and interact with its critics? “We have had a program where the sustainability committee meets with our biggest external critics where they can make the case about their interests in how we operate directly to the executive team. Last year, we held three engagement sessions with 14-15 separate groups attending. This year, we will have six more. In fact, even as we talk, committee members are meeting with a few organizations to discuss cyber security and its impact on the bank and our customers,” offered Young. The leverage and stature of the committee has proven an important approach in increasing the bank’s stakeholder engagement, according to Young, because of the members’ ability to represent critical points of view and risks directly to the leadership. “This ensures that our top leadership does not lose sight of our key stakeholders and the dialogue informs their decision-making and specific business-related outcomes,” he added. “Stakeholder engagement is one piece. We make our senior leaders available to the media, release quarterly disclosure and take advantage of public forums to explain where we’re taking the company, how we’re working on renewing customer trust and engaging with enterprise,” he said. Other efforts include programs like “Working with You” where relationship managers spend a minimum of two days a year working with their clients to get a real understanding of those businesses, an accreditation scheme to ensure our bankers are suitably skilled and qualified, and simplifying our product range to make life easier for our High Street customers. “It’s not just about the products but also how we offer them. We have to acknowledge that we’re operating against the backdrop of a tough regulatory landscape and immense pressure. The repercussions of offering the wrong products in the past continue to be felt across the organization and we have to get this right,” he added. What about the bank’s internal culture? With massive layoffs having made headlines not too long ago, what is Young’s team doing to retain and attract top talent? “Despite all the changes and the restructuring, our employee engagement measurements stack up very well. We’re quite pleased, for example, with our ongoing commitment to demo gender diversity at the executive level. We’re not at the optimum point but we’re getting much better at employing more women,” said Young. After all, we’ve gone hoarse advocating to reporters that they mustn’t view CSR/sustainability Reports as yet another marketing document but as a piece of disclosure that is tied to materiality, engagement and business performance. Final words? “If people read nothing more than the first 15 pages, they would get a good oversight of our challenges and how we’re responding. That’s mission accomplished for us,” offered Young. Originally written for and published on CSRwire’s Commentary section Talkback on May 15, 2013. When a company is manufacturing critical need medicines and popular consumer products, how does it address increasing access to innovative products while managing its energy use? On the launch of the GlaxoSmithKline’s 2012 Corporate Responsibility Report – a comprehensive read at 75 pages – I caught up with Director for Global Corporate Responsibility Clare Griffin for some updates. For the first time the report, while focusing on the company’s 2012 performance, also includes a set of 23 forward-looking commitments across GSK’s business. The first thing that caught my eye in the report was the framework used to connect the firm’s vision with its business mission, assets, purpose and bottom line [see below]. How did the team use this chart to define CR’s focus at GSK? “Lots of companies say they don’t have separate CR strategies; that they are completely embedded, etc. But how can you demonstrate that integration? This chart, for us, is a good way of explaining how CR is interwoven into our business. We have our business assets, our people, our priorities, our values, which leads us to create innovative products and drive access where people need it the most,” she explained. “That’s the vision we want to create. We believe that if responsibility is absolutely integral to how we do business, we will deliver sustainable business growth for shareholders and benefits for our other stakeholders,” she added. “We will see through the implementation of our commitments on transparency of clinical trials data, continue with our commitments on pricing, and look to further harness manufacturing technologies to improve our carbon footprint,” writes GSK CEO Andrew Witty in the report. Lots of promises in that one statement, I asked. How will these be implemented? Similarly with Horlicks, a popular malted milk drink: “We are working to further enhance an Indian government program aimed at modernizing milk production, and looking at introducing alternative energy generation, for example low-carbon biomass energy generation using waste wood to replace coal. Essentially, we are focusing on where we believe we can have the biggest impact,” she added. As for the transparency piece, while GSK has shared the summary results of all of its clinical trials – whether positive or negative – on a website accessible to all since 2004, the firm has committed to going further and now making anonymized patient-level data available to researchers. “We’re setting up an independent panel which will review each request to make sure it is appropriate and will be using the data for valid scientific reasons. We also want the researchers to share their results back with the scientific community. We hope this initiative will be of value in developing and catalyzing a wider approach in the industry,” she explained. Our discussion would not have been complete without taking into account, GSK’s rough tidings last year with the U.S. government. With the firm having to pay $3 billion to the U.S. government to settle allegations of unethical misconduct – failure to include information, etc. – in its sales and marketing practices around drugs Paxil and Avandia, several questions arose about the company’s corporate governance, accountability and sales practices – how do you move forward, I asked. The company has taken significant steps to move beyond that, responded Griffin. “We have implemented a new incentive compensation system (Patient First) for our professional sales representatives who work directly with healthcare professionals in the U.S. The new system eliminates individual sales targets for these representatives as a basis for bonuses, and instead bases compensation primarily on sales competency, customer evaluations and the overall performance of their business unit,” she said. The company has also brought together different Codes of Practices across regions and business units to create one Global Code and introduced standards that reinforce clear distinction between scientific dialogue and promotional activities. “These new standards govern the way we engage in scientific activities, such as advisory boards, publications, scientific congresses and medical education,” she said. Other steps: A Corporate Ethics and Compliance Program for all employees, strengthened training programs, setting up an anti-bribery and corruption initiative and setting in motion disciplinary actions when needed. “The 23 forward-looking commitments cut across the four areas of GSK’s responsibility: Health for all, Our behavior, Our People and Our Planet. It was important that we picked a time frame that is close enough that the current cadre of employees will be the people delivering the commitments while giving us enough time to create sustained change,” Griffin emphasized, alluding to the firm’s 2015 and 2020 goals. So what were some of the year’s highlights for GSK? A number of commitments around transparency established in 2012 including participating in the All-Trials Initiative, marking the next level of details on releasing results of GSK’s clinical trials. “In 2013 we will continue to focus on innovation, access, and operating with transparency across the business. Specifically we will work to see through the implementation of our commitments on transparency of clinical trials data, continue with our commitments on pricing, and look to further harness manufacturing technologies to improve our carbon footprint,” finished Griffin. Originally written for and published on CSRwire’s Commentary section Talkback onApril 16, 2013. Using Integrated Reporting as a catalyst for integrated thinking. That’s how Peter Graf, SAP’s Chief Sustainability Officer expressed the firm’s decision to replace two reports – the annual report mandated by the law and submitted to the SEC indicating the company’s financial performance and the sustainability report , voluntary in nature and showing its non-financial performance– by one Integrated Report for 2012. While Integrated Reporting is a fairly new trend – The International Integrated Reporting Committee [IIRC] website hosts a total of 41 Integrated Reports since 2011 – it’s not surprising. 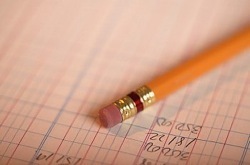 As the trend of CSR and sustainability reporting grows – due to multiple factors including a recessionary economy, dwindling resources, emerging conflicts in supply chains and a better connected world – logically, Integrated Reporting is the next step for any organization truly attempting to be as transparent as possible about its financial and non-financial challenges and performance. At SAP, the impetus for the shift was the realization that “we needed to engage within our organization on a different level” according to Graf. 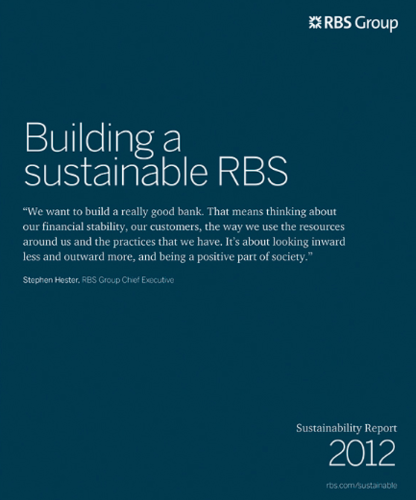 “We have been reporting on our sustainability performance since 2008. The report has grown in sophistication over the years and we even won several awards in the last two years for our report’s interactive nature, etc. So technically, we could have continued on that road,” he added. SAP set a trend last year, so why the shift again? “We have been measuring key performance indicators [KPI] on the financial and non-financial side for quite a while. But one day, we started to put them all on a white board trying to draw connection lines between them. Before we knew it, the chart was pretty full. We started to do research both internally and externally , to better understand and compute those relationships. Suddenly it became clear, just how interconnected non-financial and financial performance indicators really are,” he explained. “When I heard about Integrated Reporting for the first time, I got excited. But then I thought: It’s going to be a very long process to achieve the integrated thinking that must be portrayed in the report. I viewed the Integrated Report as an outcome. However, over time our team reached the conclusion that instead of waiting for the right engagement at SAP to happen, we should use the process of producing an integrated report as the forcing function to drive the necessary engagement,” Graf added. “In its integrated report, SAP lays out the interdependencies between financial and non-financial indicators,” said Graf. Proof points like: an increase or decrease of one percentage of SAP’s retention rate saves/costs the company 62 million euros. And since 2007, a peak year for energy consumption at the company, SAP has avoided 220 million euros ($285 million) through energy conservation efforts. “When these kinds of relations appear between financial and non-financial indicators, they do more than make the business case for sustainability. They serve as the catalysts for an integrated corporate strategy.” said Graf. While the entire report is available online, a parsed version – “we kept out customer stories but retained all other ESG data and metrics” – is submitted to the Securities & Exchange Commission. So what will you find in the integrated Report this year? For one, retention was up [94 percent in 2012] as was diversity, i.e., the number of women in management [an increase of one percent from 2011 to 19.4 percent]. The goal: to reach 25 percent by 2017. Total energy consumed stayed stable at 2011 numbers while revenue increased by 17 percent and emissions per Euro in revenue and per employee were reduced for the sixth year in a row. Overall emissions were slightly reduced, in spite of the company adding 9,000 new employees in 2012. Finally, the use of renewable energy increased from 47 percent in 2011 to 60 percent in 2012. Also intriguing to me was a section, which detailed SAP’s People Strategy. I asked Graf what the strategy involved – and how did they measure the outcomes besides retention and diversity? “Having a sound strategy around people is essential in a company that solely relies on its employees to create value. Thus our ability to compete is highly dependent on our human resources and it’s impossible to separate that from our financial performance,” he said. “First, we want to hire more diverse people. We believe more diverse groups innovate better. Second, we want to nurture our talent through clear development plans, challenging assignments, social media, e-learnings, etc. And finally, we want to leverage employee engagement as a decisive factor. So we measure retention and diversity but also engagement, which is a core and central KPI in driving our overall performance in the future,” Graf added. So what contributed to a drop in employee engagement in 2006-2009? SAP also measures a Business Health Culture Index. Does that measure the company’s engagement quotient and connect it with business performance? In 2012, SAP’s Health Index stood at 66 percent, a one percent increase since 2011 and significant growth since 2008-2009. Integrated Reporting: Check. What’s Next for SAP? With all the data and metrics dancing around in my brain, the only question left to ask was, what’s next? “On the one side, we recognize that integrated reporting is an early trend and that we certainly have to continue to improve and learn. On the other side, we have the ambition to lead, even if this means that we may make a mistake that followers might be able to avoid,” said Graf. “The next steps clearly are to continue to move away from just having a sustainability strategy to making our corporate strategy more sustainable. This requires an engagement with leaders across SAP that we have not achieved before moving to integrated reporting,” he added. His recommendations for companies who might be complacent with limited voluntary disclosure or perhaps hesitant to mix the voluntary with the mandatory? “As soon as people recognize that integrated reporting helps companies understand and grow the way how they create value at their core, , it will pick up. More and more people know this intuitively today but when someone connects all the financial and non-financial numbers with each other, then the big picture emerges,” he said. SAP’s Integrated Report 2012 is available at www.SAPIntegratedReport.com. Originally written for and published on CSRwire’s Commentary section Talkback on March 25, 2013. 47 percent of all managers are women [compared to 17 percent of the American Fortune 500’s board seats or the female representation at the recently concluded World Economic Forum]. 8 percent comparable store sales growth in FY2012. 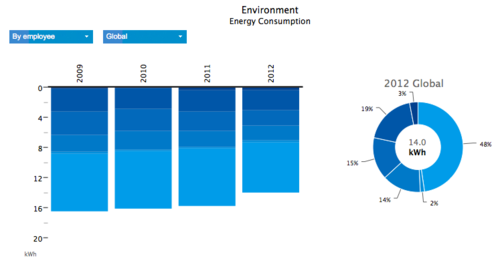 A third of total energy consumption met through renewable energy. 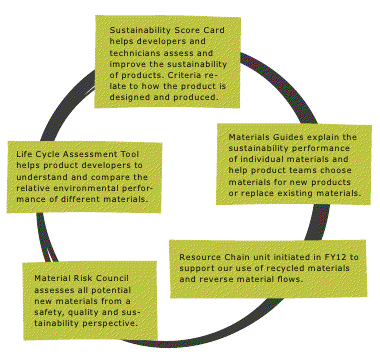 Is IKEA‘s newly minted sustainability strategy working? Titled People & Planet Positive, the strategy was borne out of the retailer’s business mission: to create a better everyday life for the many people. The 2012 report marks the first update for the superstore whose goals start from the obvious – a fourfold increase in sales by 2020 – and go on to include the other two pillars of sustainability – engagement of customers, employees and suppliers, energy dependence, as well as community development. In typical European fashion – understated with an emphasis on data – the release headline read: The IKEA Group is Growing and Financially Strong. Mind you, the release announces the retailer’s 2012 Sustainability report, not the latest quarterly report on financials. What better way to position sustainability? 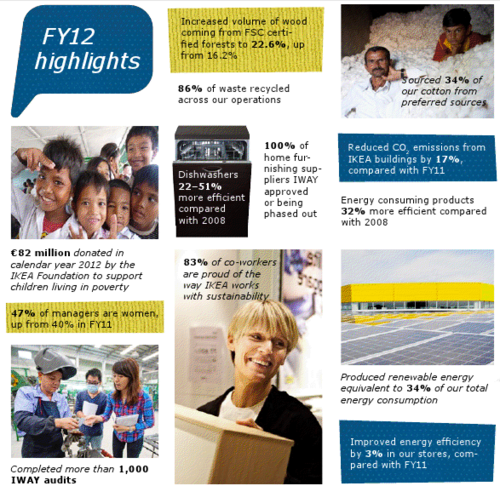 Aman Singh: What are some of the key highlights of the 2012 Sustainability Report that you would want every CSRwire reader to know? Steve Howard: We’ve divided the report into two parts. First is the forward-looking piece, which talks about our new sustainability strategy and lays out our 2020 goals. Implementing these goals has meant a huge amount of work and unleashed an incredible amount of enthusiasm across the workforce. The second piece deals with our impact. In terms of our operations, extending our work on energy has been significant. We completed installing 50,000 solar panels across our business locations by the end of FY 12. Last year, we committed to invest $2 billion in renewable energy by 2015. We’re already committed $500 million of that. IKEA now owns wind farms in six countries. Thirty-four percent of our energy came from renewable sources last year. We’ve committed to reach 100 percent by 2020. Not bad for a furnishing company. In our supply chain, we committed to reaching 100 percent compliance with our suppliers. We have 80 auditors working on this goal as well as independent team validating the work of our auditors. [Once we rolled this out] some suppliers agreed to collaborate while others decided not to. So we parted ways with as many as 60 suppliers. That has real business consequences – for us as well as the suppliers. This goal has been a real test for us on how serious we are with our promises and commitments. Because our strategy is embedded and understood across divisions, our decision to part ways with 60 suppliers was not received with any criticism. We’ve also worked with our supply chain partners on funding projects and have reached more than 100,000 farmers on improving farm conditions, water conservation, etc. Again, our goal is to reach every single one of our farmers by the end of 2015. One of IKEA’s goals is to have at least 95 percent of coworkers, 95 percent of suppliers and 70 percent of consumers view IKEA as a company that takes social and environmental responsibility seriously. How’s that going? Most of our suppliers, customers and coworkers are in the “I don’t know” category. They judge us and have opinions about IKEA but don’t know what we do on sustainability. What we also know is that people care. Once we communicate the urgency, they do care about things like climate change, the future of their children, etc. Moving forward, we will strengthen our customer communications. For example, last year we replaced the doors of one of our frame cupboards with honeycomb fiber, which is as strong as solid chipboard but uses 40 percent less material. Cupboards need strong doors, not heavy doors. And this reduces the cost to produce the cupboard, therefore, reducing the price for our customers, which makes it a better customer proposition. Similarly, the VIDJA lamp was redesigned last year to take out unnecessary components [as many as 24 of the 33 original components were removed] and replaced with LED lights, resulting in half the weight and the same performance. Additionally, we can now load 128 VIDJA lamps on a pallet vs. 80 previously, which means we can ship more at once, reducing our fuel usage and shipping costs. Just like that, every IKEA product has a story. That’s the direction for our business. Soon everything will be traceable back to source but it’s a lot of hard work and we are starting to talk about these stories. But it will take us some time to get the communication across to our customers globally. That’s emblematic of a true lifecycle approach. With thousands of products and a growing footprint internationally [IKEA is in China and will soon debut its first store in India] there must be some challenges in balancing sustainability goals and growing scale? 6degrees centigrade warming: A catastrophe. These numbers are real. And hit hard. We’re over-consuming against the urgency of climate change. This hits the heart of business: we are either sustainable or bust. We have to do whatever is needed. And we know that. We can help our customers save energy by switching over to LED lights. We’re essentially banning non-LEDs by committing to sell and use only LED lights in our products. We can help people save water in a meaningful way by using energy-saving equipment. Simple things like LEDs, for example, can reduce our customers’ expenses by 30 percent. That’s equal to a 10 percent pay raise! This is our opportunity…and it’s highly motivating. How does reporting on these metrics help? Whose reading the report? We just want to be transparent. We’re not expecting IKEA customers or coworkers to rush to read our sustainability report. It is meant for a specialist audience that believes in the phrase, you can only manage what you can measure. Businesses – and management teams – like to have clear targets so that they can report against them [and benchmark, analyze and improve performance]. So why not use the same logic for sustainability? Originally written for and published on CSRwire’s Commentary section Talkback on January 21, 2013. When a PR and marketing firm publishes a corporate citizenship report, there’s a tendency to view the results – and the commitments – with a pinch of salt. After all, they’re traditional masters of spin. Right? “We’re incredibly pleased [that] we were able to provide over $5 million in cash, non-cash (volunteerism) and in-kind giving in FY12 to the communities in which we operate. Giving back has always been a big part of our agency’s heritage and helping our communities is just one of the ways in which we can be responsible global citizens,” John added in a recent conversation over email. So what does the report detail beyond the private firm’s green commitments and philanthropic donations? Reminding me that citizenship at Edelman has only been a global function for two years, John pointed to two major accomplishments. “The introduction of our human rights policy and our supplier code of conduct. When I started in this role, we began to see more and more client requests and requests for proposals (RFPs) in regard to our citizenship policies. Our development of these two policies in FY12 is directly related to stakeholder expectations of Edelman as a global company,” he wrote. The firm also joined the Supplier Ethical Data Exchange (Sedex), a web-based platform and registry where companies report on CSR-related initiatives around business and labor practices, health and safety and the environment. I have often said/written that the challenge of contextualizing what corporate social responsibility means for the service-based industries is uniquely harder than the consumer products sector. Not that the pressure is any less, as evidenced by the increasing numbers of CSR reports publishing in the last two years, but I do believe that B2B firms must dig deeper to identify – and fulfill – their responsibility to society, employees and the environment. What’s been a unique CSR challenge for a firm that relies on its talent and has an immense global presence? And it’s not just setting the goal that’s been hard. Implementing new programs across the firm’s markets has been a challenge as well, he said. “We want to be a guiding force without being too prescriptive. We want to empower our employees around the world to implement and take part in citizenship initiatives with the understanding that they need to balance these with their regular workload,” he added. John points out the inherent paradox that organizations like Edelman must tackle: how do you compel employees to volunteer and donate their time, money and skills while expecting them to manage a full workload and often, as is common in the PR world, 60-80 hour work weeks? Ultimately it comes down to the committed few, driven by their passion and subjective understanding of their society and environment. Since inception, Edelman has been a proudly private company. So why bother reporting on its non-financial goals? Especially when their service/product is often perceived in the market as spin? It all comes down to being transparent, says the veteran marketing executive. As an example he pointed me to a section of the report, which highlights that the firm’s carbon footprint at “15,518 metric tons CO2e [had] actually increased since our last footprint period.” “We provide explanations for that increase, such as improved data-capture practices and control data quality, particularly on business air travel,” he said. Which leads to another question: As a PR agency, what was the motivation behind launching the Business + Social Purpose division – led by the legendary Carol Cone – beyond the obvious business opportunity with companies evolving from cause marketing initiatives into more robust CSR strategies? “It was clear that we wanted to ‘walk the talk.’ Working with clients on sustainability and citizenship is certainly a business opportunity, but beyond that, we needed to evolve and integrate our own practices. This is what we tell our clients: sustainability and citizenship should be integrated into the overall business,” he said. Has the client-driven practice impacted cultural behavior and the firm’s organizational hierarchy? Walking the talk? That at least is the objective, he said. The ultimate reward of having a CSR strategy is when you can use the reporting function as a reflection on your organizational practices and improve them incrementally. As Edelman helps other organizations weave their way through and inculcate CSR into business strategy, it is important that the firm use the same philosophy internally. “In the long-term, citizenship needs to be further integrated into our overall management systems. We have been making incremental progress year to year….During year one, we established a foundation; during year two, we have established some goals. In year three, we hope to develop metrics around CSR performance and eventually, we hope to create a citizenship scorecard that can be integrated into our management systems,” informed John. How does the firm measure the impact it is driving with its clients? And let’s not forget the external piece, he reminded me. Holistic CSR goals, got it. Originally written for and published on CSRwire’s Commentary section Talkback on September 21, 2012. 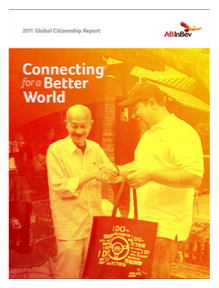 The report is titled Connecting for a Better World. AB InBev makes beer. What’s the connection? At AB InBev, our dream is to be the Best Beer Company in a Better World. We believe that taking consistent, active measures in our core areas of social responsibility means constantly connecting our business with our stakeholders, especially in the communities where we live and work. It takes a team effort to address these issues. Through our work to promote responsible drinking, reduce our impact on the environment and support our communities, we work with others who share our collective goal of making a difference. There’s a quote in the report from Carlos Brito saying “We’re not aliens.” Can you offer some context? When Carlos Brito said, “We are not aliens …” he was responding to a question at the Business for Social Responsibility Conference last fall about why AB InBev actively promotes responsible drinking. AB InBev today has over 116,000 employees operating globally. We live on this planet and share the same concerns as our friends and neighbors. Many of us are parents and understand how important it is to talk with our children to help prevent underage drinking. Similarly, we don’t want to be on the road with drunk drivers, and we’re committed to supporting prevention efforts such as encouraging the use of designated drivers. We’re committed to addressing these issues not only from a business perspective, but also from a personal perspective. What is the ROI in producing a comprehensive CSR report such as this one? Media mentions? Retention? Rankings? Publishing our CSR report keeps us focused and accountable to our stakeholders and ourselves. The scrutiny that this annual process brings gives us an updated perspective to help us further drive our performance, engage our employees and very importantly, thank them for their great work over the past year. From an external perspective, we’re satisfying the requests from varied stakeholders for transparency on our social responsibility efforts. The report is over 80 pages. Who is your primary target audience? And, who would you want to target? We have a lot of good things to talk about! We use the report to share our progress with diverse audiences – from community stakeholders to investors, to media, to government officials – around the world. Alex Prud’homme author of The Ripple Effect recently said that “Water is the headlining story of our century.” Are you focusing on sustaining your business by reducing water use, R&D on water replenishment or identifying alternative products altogether? Water is our primary environmental focus and we aim to reach a water usage rate of 3.5 hectoliters of water for each hectoliter of production by the end of 2012. We tackle the issue of responsible water use by doing more to conserve both in our operations and in the communities where our breweries are located. Progress requires operational changes and continually applying the most updated technical innovations. It means going further with supply chain and community partners to help conserve water outside our walls. But it also requires reinforcing a mindset that doesn’t take water for granted. It can be argued that 8.2% reduction in water usage since 2010 is not a lot. Primary challenges in reaching double-digit reduction? Actually, if you look at the beverage industry, this is a significant achievement. And it’s important to keep in mind that we’ve focused on water and energy efficiency for some time now, so there is very strong year-on-year progress. And we’re also making these reductions while continuing to grow our business. That means that each year, our brewing operations teams find innovative ways to do more with less when it comes to water. To date, we’ve achieved an average water use of 3.71 hectoliters per hectoliter of production across our global business, which represents a 13.7% reduction against our 2009 baseline. Our target, which we’ve stated publicly, is to reach 3.5 hectoliters of water per hectoliter of production by end-2012, which will put us on the leading edge of water usage for the brewing industry. Your report mentions the billions paid in wages and income taxes. Not a lot of reports make these metrics a part of their community development results. Why the emphasis on wages? 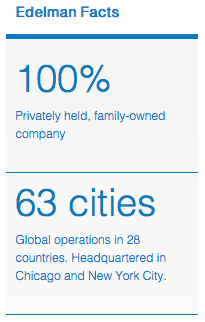 As the leading global brewer, we have operations in 23 countries. We have a significant economic impact on the local communities where we do business through the jobs we create, the wages we pay and the taxes we pay governments at all levels. We feel that it’s important to report on and recognize the value and impact we are bringing to communities where we live and work. Can you talk to the “ownership culture” of the company? We strive to create a culture that encourages responsibility and accountability, and that applies to our work on social responsibility as well. Creating this culture of ownership helps us build those connections and team approach, both internally and externally, to helping make a difference in our communities as we strive to be the Best Beer Company in a Better World. Originally written for and published on CSRwire’s Commentary sectionTalkback on April 26, 2012. 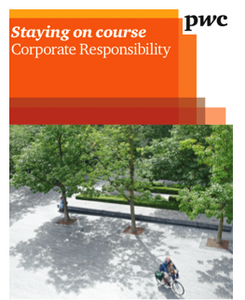 PricewaterhouseCoopers (PwC) Canada released their third annual corporate responsibility report today. It’s nothing groundbreaking. But nor is it pages and pages of images and quotes from top leadership interspersed with hard-to-evaluate statistics. In true PwC fashion, the report details commitments and achievements in 2011 only to quickly move on to highlighting challenges and the firm’s key plans for 2012 followed by an affirmation of the firm’s social and environmental strategy. The pressure on firms big and small to report on their non-financial activities is significant. With the Global Reporting Initiative (GRI) officially launching in North America last year, CSR and sustainability reports are set to multiply in coming years. What always challenges me are the motivations behind the reporting: Is it simply peer pressure or do firms learn something from the process? Moreover, is the act of reporting an exercise in external communication or more of an introspective activity to improve processes and strategies? What was the most important lesson learned from the often stressful exercise of putting this report together? Every time we work on our Corporate Responsibility Report, we’re reminded that this is an evolving journey and one that requires us to be open to adapting to changing ideas, personalities and approaches to developing the most transparent narrative possible. When you involve such a large number of stakeholders in such a rigorous process, all of whom are passionate about their work and the cause, it can prove to be a balancing act that requires a balance of leadership, managing expectations, and the ability to communicate with empathy and effectiveness. The report mentions plans for a new three-year strategic plan to guide the next phase of PwC Canada’s CSR program. Any insights you can provide into that? Over the next few months, we will be completing our environmental scan and a strengths, weaknesses, opportunities and threats (SWOT) analysis to ensure that we are being thoughtful about our dynamic marketplace conditions along with gaining valuable input from our Global Network of Firms. Philanthropy plays a crucial role in targeting social and environmental challenges through nonprofit partnerships but it’s often the strategy behind these donations that helps make them effective. Any insights on what works well for PwC’s B2B industry? At PwC Canada, we have adopted a strategy that focuses on educating employees and other stakeholders about the most effective ways to give back to their communities. We encourage people to utilize our PwC Canada Volunteer Continuum that spells out how a person or organization can deepen their engagement with the charitable sector while developing their skills and experiences. This could include the ways people use their skills to volunteer, how they look at sharing their community experiences, calling on their business networks for support, or how to allocate their personal or organizational resources in the most effective way possible. Our approach is rooted in the regular feedback we receive from the not-for-profit sector and considers impact (not just dollars and cents). What are some points of achievements from the report that you feel especially proud of? In the fall of 2010, PwC hosted a series of roundtable discussions with representatives from the not-for-profit sector, public and private foundations and major corporations called the Capacity Building Roundtable Project. The purpose of the project was to raise awareness about how corporate funders could better allocate their resources to help the not-for-profit sector become more sustainable and deliver lasting results within their communities. The report concluded with a step-by-step process that addressed critical needs identified by the community that could have the most immediate and scalable impacts. One of the critical findings was the need to encourage other corporations to provide not-for-profits support for core operational expenditures, and ensure they build time for grant recipients to reflect, take risks and test new innovations into grant proposals. How do you define success in CSR reporting? Metrics? Media mentions? Or a set of internal goals? We encourage our employees and other stakeholders to integrate a CR mind-set into their day-to-day business operations. We want to inspire and empower people to look for ways to embed good CR practices into their decision-making frameworks. A great example of how we’ve engaged our stakeholders in a CR dialogue was through the Citizen’s Reference Panel. PwC Canada brought together people from across Ontario to discuss their views on how to build a more sustainable and cost-effective healthcare system across the province. We published a piece of thought leadership outlining the results, and it’s something that will help our business, the public and governments have better insights into the development of new healthcare strategies. Our firm can play in helping to shape the debate on sustainability issues impacting businesses today. Success means knowing you’ve done everything you can to help develop the CR conversation. Originally written for and published on CSRwire’s Commentary sectionTalkback on February 27, 2012..
Social Media Tactics: McDonald’s Hosts Twitter Chat. And Issues a Policy. Certainly not the blog post I planned on writing after spending two weeks in New Delhi, India but I am compelled. Today, McDonald’s hosted a Twitter chat with VP of CSR Bob Langert. The motivations are many for a company that is besieged for its product line and constantly under fire. In fact, last year at a diversity benchmarking event at Hamburger University, I had the opportunity to hear the McDonald’s executive team discuss a whole host of business practices and strategies, including diversity (led by Global Chief Diversity Officer Pat Harris), employee learning and corporate social responsibility (CSR). There is an argument that some companies–such as those that deal in weapons and tobacco–just can’t do corporate responsibility in a meaningful way. As a result, they are often excluded from CSR rankings and benchmarking exercises. But what about a company like McDonald’s constantly under fire for its products? How does the world’s largest fast-food chain practice corporate social responsibility that is both contextual and real? Led by Senior Manager for Corporate Social Responsibility Kathleen Bannan, who began her presentation by saying “CSR is everybody’s business,” the day-long event proved both thought-provoking (how does a company who doesn’t enjoy corporate America’s most favorable retention rates or the public’s uniform love tackle responsibility and that ever-amorphous doing the right thing?) and insightful (McDonald’s is among very few companies to institute an employee resource group for its white male workforce). What happened today, however, was an effort at cautious transparency and an attempt at crowd sourcing corporate social responsibility. And the answers, alternatively useful, creative and critical. Now McDonald’s is not the first company to host a Twitter chat by any means. I have personally attended several as well as hosted a few — including one coming up next week with UPS’ Chief Sustainability Officer Scott Wicker — with varying levels of participation from a usually diverse set of activists, journalists, executives and consumers. An indication of things to come or…?